"The most innovative way to transform your fireplace into a showplace!" Are Natural Gas Logs on the Way Out? According to Carl P. Herkes of Glass Flames, the answer is "Yes". If you want to know why, read on. A mesmerizing fire in your fireplace or fire pit has always been relaxing and enjoyable. Now there is a refreshing and affordable alternative to wood or gas logs. 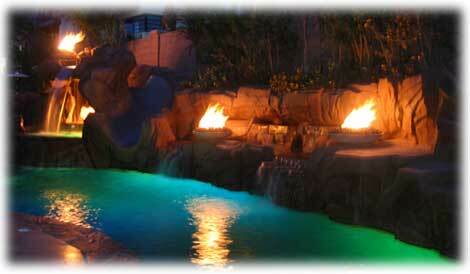 Now you can enjoy a truly mesmerizing fire by Aquatic Glassel in your own home or backyard. This revolutionary product was once only affordable for celebrities, but is now affordable for everyone. GlassFlames.com is proud to introduce Aquatic Glassel, custom fireplace glass. The glass is specially designed to be used in fully vented, solid fuel-burning fireplaces that are equipped with a gas outlet, so there's no need to worry about having a "special" fireplace. One of the best features of Aquatic Glassel versus GAS LOGS is the way it radiates heat into your room. Everyone wants to get the most out of their gas fireplace this year. Aquatic Glassel allows you to do just that. You get it all with Aquatic Glassel in your fireplace. You get rid of the mess from your Gas Fireplace Logs while heating your room instead of only your chimney! Use the Aquatic Glassel specialty glass in your new custom fire pit and enjoy the evening brilliance. Cozy up to your inviting new custom fire pit and marvel in its beauty. Easy to assemble, easy to clean... there's no better way to build a custom fire pit than with the Aquatic Glassel specialty glass by GlassFlames.com. The cost of the glass for an average size fireplace ranges between $200 and $400. Order yours today! Installation is simple, fast and rewarding. Take a look at our installation checklist to find out what you need. Most people install this product themselves and there have been no reports of failure. The hardest part is deciding what color glass you want for your fireplace or fire pit. You will enjoy years of beauty with little to no maintenance. Base Glass -- You can use this glass by itself or add toppings or even mix combinations of both. This is the glass that makes up the majority of the total pounds of glass needed for your installation. Glass Toppers -- Use toppers to enhance the surface of your base glass. The toppers measure roughly 1/4 to 1 inch in size and are truly some of the most beautiful glass products we carry. Glass Toppings -- Use toppings to enhance the surface of your base glass. The size of the glass pieces is fairly small, measuring roughly 1/16 to 1/4 inches in size. Glass ICE -- These glass "pillows" look exactly like the real thing. Use them on the surface of your base glass to give the effect of a real bed of Ice! These have many uses. You need not limit the use to your fireplace or fire pit alone. Imagine creating a display with an ice bucket (with ice that never melts). Glass Drops -- The drops can be used to enhance your base glass. They can also be mixed with the base glass to create unique looks. I want it in my fireplace. What do I need to do? First, make sure your fireplace is fully vented. Does your fireplace have a full chimney that extends up through the roof? Can it burn wood or gas logs? Are there doors on the front that can be opened? If so, it is probably fully vented. If in doubt, contact us. Measure your fireplace floor and plug your measurements into our handy calculator. Make note of the total pounds of glass needed for your installation. The hardest part - pick out your "base glass" colors. You can browse here for your colors. Glass is sold by the pound. You should already know the pounds needed from the fireplace calculator. A fireplace typically takes anywhere from 40 to 90 pounds for a 2 inch fill method. Decide if you want to paint the inside of your fireplace. You need only paint the inside walls, not floor, of your fireplace. If your fireplace walls are streaked and ugly, painting them is a must to achieve the result you are looking for. Several colors of paint are found here. It is likely that you will need a burner. These are found here. When picking out a burner size, try to keep 3 inches or more of space between the left and right side of the burner and the inside of your fireplace. This will help prevent streaking on your fireplace walls. Pick up some finely crushed lava rock (pea size) at your local hardware store or nursery. Or you may purchase the lava rock here. If you choose not to use lava rock as a cost-savings base fill, you should order your glass using a 3 or 4 inch fill method. Download the installation manual here. It should provide you with all the details of your installation. If you still have a question, feel free to give us a call. Enjoy your sparkling fireplace for years to come. I want it in my fire pit. What do I need to do? Measure the diameter of your fire pit and plug your measurements into our handy calculator. Make note of the total pounds of glass needed for your installation. The hardest part - pick out your "base glass" colors. You can browse here for your colors. Glass is sold by the pound. You should already know the pounds needed from the fire pit calculator. A fire pit typically takes anywhere from 50 to 120 pounds for a 2 inch fill method. It is likely that you will need a burner. These are found here. When picking out a burner size, try to keep 3 to 5 inches of space between the outside of the burner and the inside of the fire pit. Pick up enough crushed lava rock to fill your pit to 2 or 3 inches from the surface. Then pick up some finely crushed lava rock (pea size) to achieve an additional inch of fill depth. You can get this at your local hardware store or nursery. Or you may purchase the lava rock here. We sell the finely crushed lava rock. If you choose not to use lava rock as a cost-savings base fill, you will need to fill your entire pit with glass, and that will be very expensive. Enjoy your sparkling fire pit for years to come. Copyright © 2004 - 2014 (Exotic Flames). Design by Andreas Viklund.